In this issue: Grimnoir returns, nasty aliens plot revenge—plus, the November contest! Dark fantasy and hardboiled noir action in #2 of the hard-hitting Grimnoir Chronicles by the New York Times best-selling creator of Monster Hunter International. 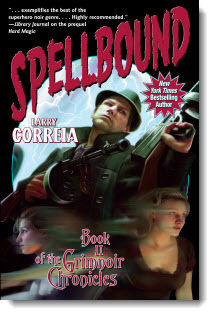 When a magical assassin makes an attempt on the life of FDR, the crime is pinned on the Grimnoir. Grimnoir knight and P.I. Jake Sullivan must hunt down the real assassin before time runs out. Earth: the alien conquerors are thrown off and a new generation is born to freedom. Easy to think the heavy lifting is over. Easy–and fatal. New peril looms, and the son of a rebel commander must find his own hero within, or else his father’s sacrifice, and Earth’s moment of liberty, is about to crumble to interstellar dust. Simple and sweet. A random drawing for a huge Larry Correia e-book collection: Monster Hunter International, Monster Hunter Vendetta, Monster Hunter Alpha, Hard Magic, Spellbound, and the Larry Correia-Mike Kupari military adventure collaboration Dead Six. 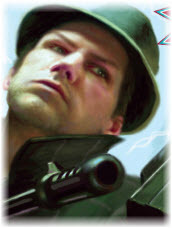 Simply send your name and e-mail to contest@baen.com on or before November 25, 2011. 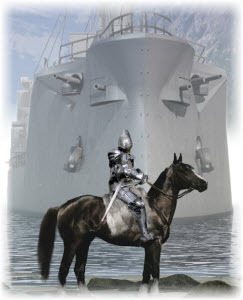 New in the Baen Free Fiction Library: Caliphate and A Desert Called Peace, prime entries in Tom Kratman's compelling, unrelenting Carrera series. In a far future galaxy, a mistreated young orphan discovers his origins as the last of the Faery Folk. Contains Flight to Yiktor and Dare to Go A-Hunting, concluding legendary, best-selling storyteller Andre Norton’s epic Moonsinger series in one volume. Humans push back hard against a galactic empire bent on subjugation of all who oppose it. Book Two of the New York Times Bestselling Troy Rising saga. A cornucopia of hard-hitting and insightful adventures for fans of New York Times bestseller Eric Flint. 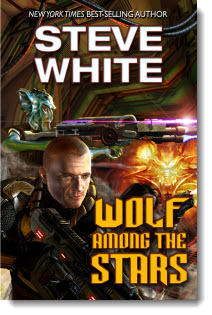 Includes stories and two short novels from the Ring of Fire saga, and three other Flint series, all introduced by Flint. 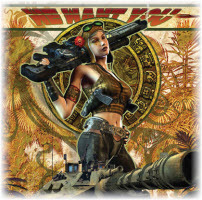 Nefarious forces are determined that a new line of heirs to the powerful space-trading Clan Korval be destroyed. Now one heroine–an outsider in a love match with the clan leader–is determined to protect her family at all costs! Tales from a master of sardonically humorous science fiction adventure. Includes Anvil’s brilliant and wry speculative novel, The Day the Machines Stopped. Compelling alternate history from a World War II master, as a new and terrible battle for the free world is on. Scott Babb Wins Ring of Fire Contest! We have a winner for our August Ring of Fire contest: send your own group of inadvertent travelers back in time and tell us all the gory and glorious details. Scott Babb will receive a complete set of Ring of Fire series e-books! The contest is now over, but if you’d still like to test yourself (or check yourself), the link is here. 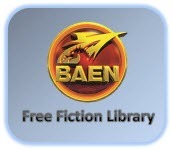 Don't forget to check out the newest eBook releases, and Baen.com free fiction: a riveting fantasy tale set in P.C. Hodgell's Kencyrath saga. Plus, free non-fiction: part one of “Beating Decline,”a substantial tour d’horizon of the U.S. and Western alliance.